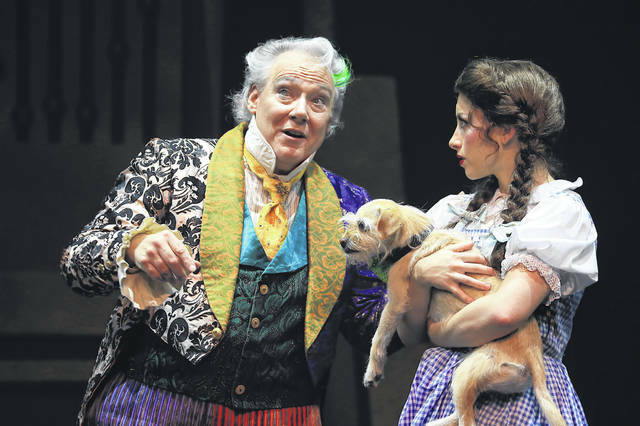 “The Wizard of Oz” will take the stage Saturday night. LIMA — There’s no place like Veterans Memorial Civic Center to see the Broadway production of “The Wizard of Oz,” being performed at 7:30 p.m. Saturday. The production featuring everyone’s favorite Kansas farm girl was brought to Lima by Town Square Live. “These are local dollars bringing this entertainment to Lima,” said Abe Ambroza, chief executive officer of the Civic Center. The Broadway performance generally follows the movie. “The Broadway show has its wrinkles that are slightly different. It’s the story that we know and love, and it’s timeless. It’s an amazing performance. This is a touring Broadway show that’s been all over the country and when you hear these talented performers in Crouse Performance Hall, it’s going to blow you away,” said Ambroza. The familiar songs will be sung as well, and according to Ambroza, the senses will be heightened with seeing the Broadway production. “If you’ve only seen the movie, if you’ve never actually seen the Broadway production by a professional, it takes you to a whole other level of appreciation for this story,” said Ambroza.